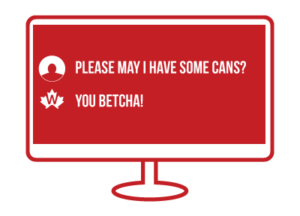 West Coast Canning offers on-demand shrink sleeving to clients across Western Canada & the USA. Our ultra-convenient pay as you go shrink sleeve application service lets you take advantage of volume discounts with our shrink sleeve supplier, IMS, and then order finished shrink sleeved cans only when you need them. We store your heat-shrink can labels free of charge in our warehouse in Vancouver, BC, shrink sleeving and shipping the exact number of cans you require for your canning run only when you need them. This gives you the freedom to invest in other areas of your business and relieves the headaches of bulk can orders. The first item on the agenda for any craft brewery, cidery or winery looking to take advantage of West Coast Canning’s shrink sleeving services is to order your shrink sleeve labels. For best results we encourage you to use our trusted supplier, IMS. Submit your beer label design to IMS for review along with their completed design checklist and their account opening form. If using your own designer, make sure they follow the design guidelines to ensure a smooth progression through the pre-flight process. 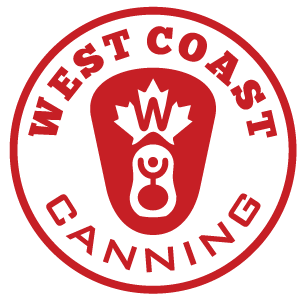 If you use West Coast Canning’s can design services, don’t stress – we work closely with our suppliers and know how best to optimise files to avoid any delays. 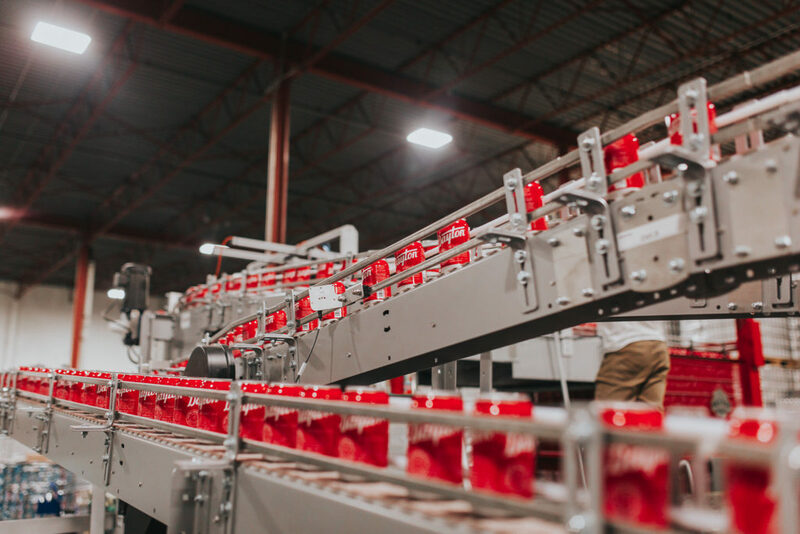 IMS will print your labels on their flexographic printing press and ship them to West Coast Canning’s Vancouver warehouse where they are stored at no extra cost until you need them. This lets you purchase greater volumes, for better prices, without worrying about storage. As soon as you know when your beer will be ready fill out our finished cans order form and let us know how many cans you’ll need. Our shrink sleeving team get to work applying your heat-shrink labels to blank cans. Our system can run up to 13,000 sleeves an hour, so no matter the size of your order, we can turn it around on time. Labels are applied to cans one at a time before travelling through a steam tunnel that shrinks the wrap to the formerly blank can. The shrink tunnel operates within a temperature range from about 75°C-93°C. 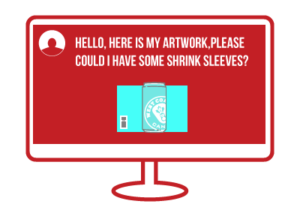 Finished shrink sleeved cans are re-palletized according to your specifications. We can re-palletize 355ml can up to a maximum height of 17 layers, 473ml cans to a max. of 13 layers and 500m cans to a max. of 12 layers. Your cans are shipped to, or collected by, you. We can either arrange it for you, or you can have your carrier of choice pick them up from our South Vancouver warehouse. Alternatively, if you are a mobile canning customer, we will bring the finished cans with us on the day of canning at no extra charge. West Coast Canning’s pay as you go shrink sleeving service is the obvious choice for producers in Western Canada. We save you money, space and sleepless nights with the killer combination of on-demand shrink sleeve cans and professional mobile canning.